Some owe the government thousands of dollars in transportation costs. 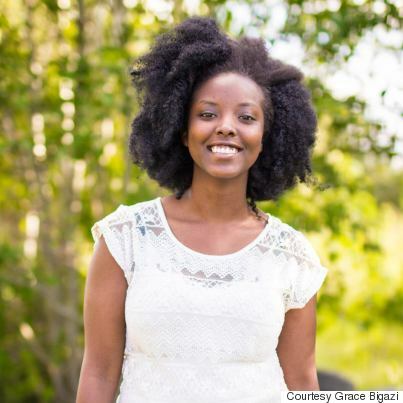 The sun was still shining when Grace Bigazi’s plane touched down at Calgary International Airport on June 22, 2015. It was after 9 p.m. The 17-year-old stared in bewilderment, then double-checked her watch, wondering if she had set it to the wrong time zone. On the same day, the sun set in Kenya hours earlier at 6:30 p.m. local time. Perhaps insignificant in the grand scheme of things, but it was the first of many contrasts Bigazi would strike between her previous life in Congo and Rwanda, and the one she was starting in Canada as a refugee. Grace Bigazi landed in Canada in June 2015. A few hours later, Bigazi, her mom and five siblings were in Red Deer, Alta., a city they learned existed just weeks before. But life as a refugee family wasn’t easy. “We knew nobody,” Bigazi told The Huffington Post Canada. She struggled with being “the new girl” in her Grade 12 class and adjusting to a new education system. Her mom spoke little English and couldn’t find a job. She took her children to appointments and meetings to be her translators. And then there was the $11,400 they owed the federal government. Three months after the Bigazi family landed, they received a letter from the government saying it was time to start repaying a transportation loan for which they signed up just before coming to Canada. 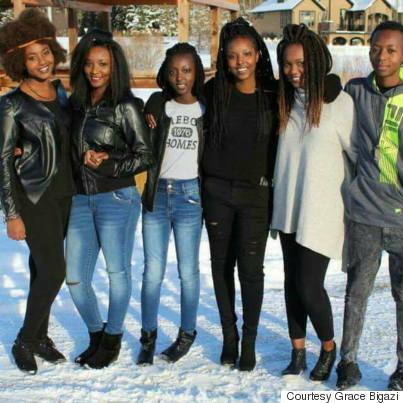 It covered costs for their connecting flights from Kenya to Amsterdam, Calgary and then Red Deer. About 94 per cent of government-assisted refugees receive financial support from the government through its Immigration Loans Program (ILP), which helps cover transportation and medical costs. Newcomers must start paying back the loans 30 days after they arrive in Canada — although with system delays, the process typically takes a few months. Grace Bigazi with her sisters. Advocates have urged the government to ease rules surrounding the loans for years, saying they’re too heavy a burden for those already juggling the challenges associated with resettling in a new country. A 2015 evaluation of the loan program by Immigration, Refugees and Citizenship Canada suggested several broad adjustments. The report recommended the federal government consider giving refugees more time to settle in Canada before sending the first invoice — it pointed out the United States offers a six-month grace period for similar loans. The report also suggested the government re-evaluate the interest charged on the loans to ensure it appropriately considers refugees’ financial situations. In a December 2015 response to the report, Ottawa pledged to “develop a comprehensive array of policy options to address challenges” with the program by mid-2016. In February, an immigration department spokeswoman said the government is still working on it, but doesn’t have a timeline. “At this time, we are unable to speculate when further information may be available on possible changes,” Jennifer Bourque wrote in an email to HuffPost. Bigazi, who now studies political science at The King’s University in Edmonton, first spoke about her family’s hardships in repaying the loan when the school hosted a conference on citizenship and immigration in Canada. Grace Bigazi speaks during a panel on citizenship, migration and refugees in Canada at the The King’s University in Edmonton. She focused specifically on young people who put off pursuing higher education in order to work and help pay off the loans. She called it a “heartbreaking” decision, and one she struggled with too. Bigazi’s mom works a part-time job retail job at Winners, and puts in a few hours a week assisting health-care workers at a nursing home. “Was she going to use the money she was making to pay off the loan, or pay rent, or buy food?” Bigazi said, explaining why she felt pressure to get a job instead of pursue studies. The family hands over $158.26 in monthly instalments to the government. Her older sister, who was an adult when the family came to Canada, has her own loan. In the summer, Bigazi worked part-time at a grocery store to help her mom pay off the loan — money she hoped to save for her education. “It’s crazy when I think that I have to pay the [transportation] loan. Now I’ll also have to pay my student loan,” she said. The family has $9,801.17 remaining to pay back the federal government. Bigazi is not alone in her struggle. According to the Canadian Council for Refugees (CCR), many newcomers put off school, professional training, and language classes in order to pay off the loans. The CCR reports 76 per cent of government-assisted refugees use social assistance to meet loan requirements, while cutting back on basic expenses such as housing, food and clothing. “It is a real handicap for many [refugees] and for some absolutely devastating,” Janet Dench of the Canadian Council of Refugees (CCR) told HuffPost. Amer Alhendawi moved to Canada in 2015. It’s something Amer and Mervat Alhendawi have wrestled with ever since they arrived in Canada in May 2015. The Syrian couple could barely speak English, and owed the federal government $7,413.74 in transportation costs, which included flights from Jordan to B.C. Amer shared his story with the Citizenship and Immigration Committee at the House of Commons in May last year. Both Amer and Mervat are currently unemployed, and have five young children. The family now lives in Burnaby, B.C., where Amer is on a waiting list for government-funded English classes. They haven’t been able to make their monthly loan payment of $102.97 in four months. NDP MP Jenny Kwan meets with the Alhendawi family. The Alhendawis have a total of six years to pay off the loan, after which the loan will accumulate interest. The amount of time given to refugees to pay off the debt depends on the size of the loan. Refugees that owe more than $4,800 are given six years before interest kicks in, while loans under $1,200 are to be repaid in one year. Government spokeswoman Natalie Schofield told HuffPost Canada in an email that repayments go back into the program fund and help provide new loans for new refugees coming to Canada. The interest charged on late repayments help cover administrative costs. Interest applied to loans varies each year. 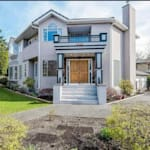 In 2015, the rate was 1.38 per cent, while last year it was 0.76 per cent. NDP immigration critic Jenny Kwan has been pushing the Liberal government to scrap the loan program. NDP immigration critic Jenny Kwan, seen in 2015, is campaigning to eliminate the Immigration Loans Program. “We’ve been calling on the government to eliminate the loan for everyone,” Kwan said. The Vancouver East MP said she raised the issue with previous immigration minister John McCallum numerous times, but he did not commit to any changes. Kwan has met some families who only had $50 left at the end of the month, after submitting loan payments, to cover other expenses. Many relied on food banks and other charities to get by. In September 2016, Kwan sponsored a petition urging the government to waive all loans for refugees. It was signed by a little more than 2,000 people. The federal government does provide exemptions and provisions to offset the burden of the loan in some cases. Refugees can request a review of their repayment schedule if they are facing hardship. Those with special circumstances — elderly or disabled refugees, single-parents, women at-risk, and large families — are more likely to be granted loan deferrals of up to two years. Prime Minister Justin Trudeau greets Syrian refugees at Toronto’s international airport in November 2015. In rare cases, the government waives the loans all together. The Liberal government did so for 25,000 Syrian refugees arriving in Canada between November 2015 and March 2016. The move was lauded internationally, but also criticized by some as preferential treatment. 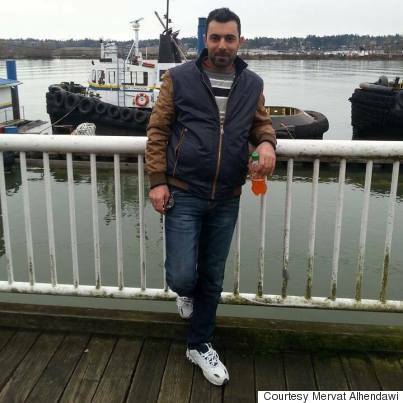 Bigazi arrived in Canada just months before the exemptions kicked in for Syrian refugees. She praised the Liberal government for the move, but said it still feels unfair. “Wasn’t my situation dire enough?” she asked.